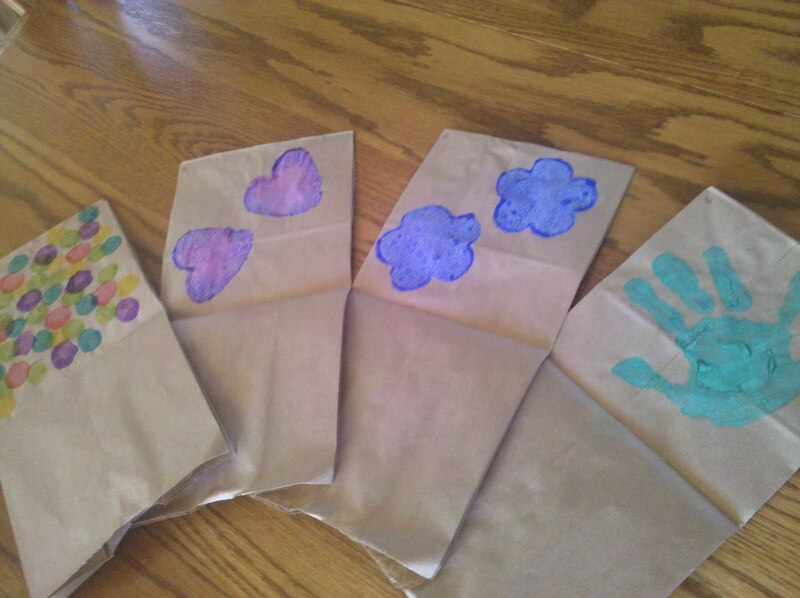 Paper bag albums are just about the easiest kid friendly craft out there. Construction is super simple. 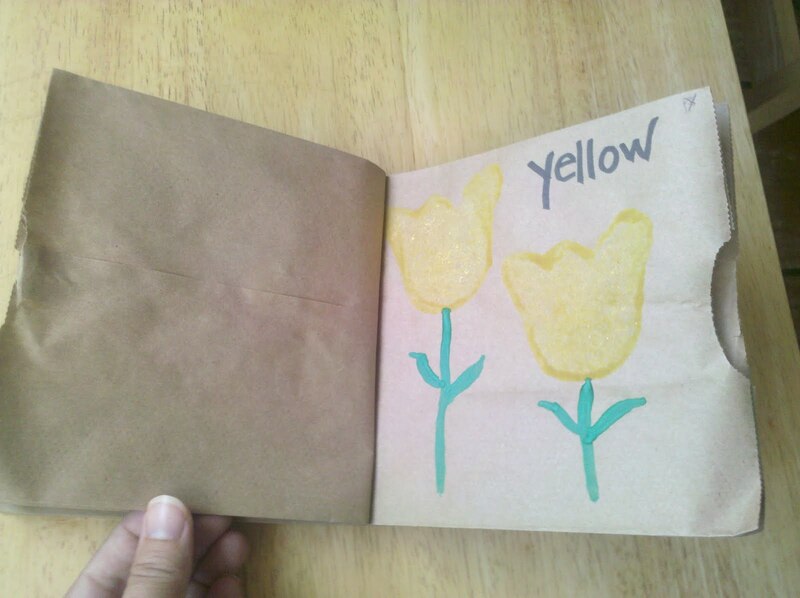 Here's the short version: Stack 3 or more paper lunch bags together, fold over to create a "book" and staple the side to create a "binding". You can even create a color-themed paper bag album to help your toddler or preschooler learn their colors. 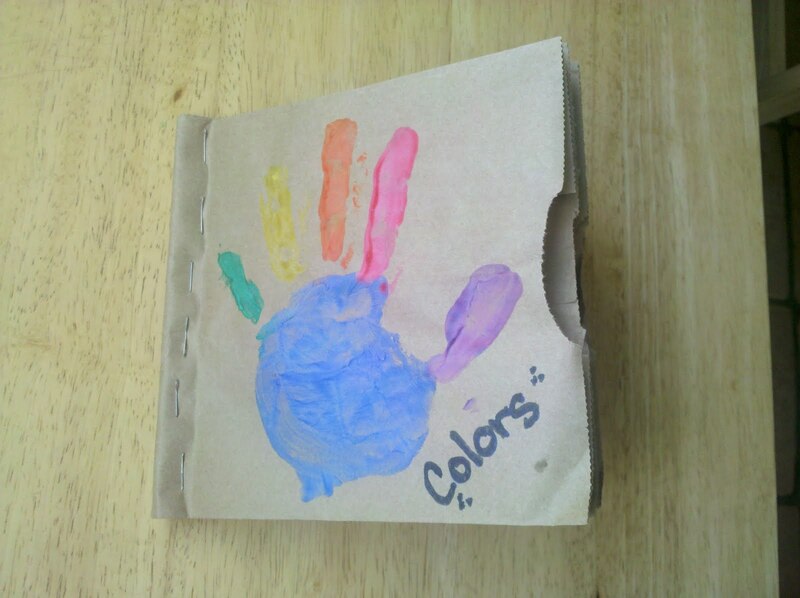 Use stamps, stickers, paint, and even handprints to decorate each page with a color of the rainbow. If you plan to use paint, be sure to decorate you album before you construct it. After the paint has completely dried you can assemble your album. Now your child has a personalized way to learn the ROYGBIV (or something like it ;) ) scale. ** I tried to make the entire album with handprints in one sitting, but they would have none of it! 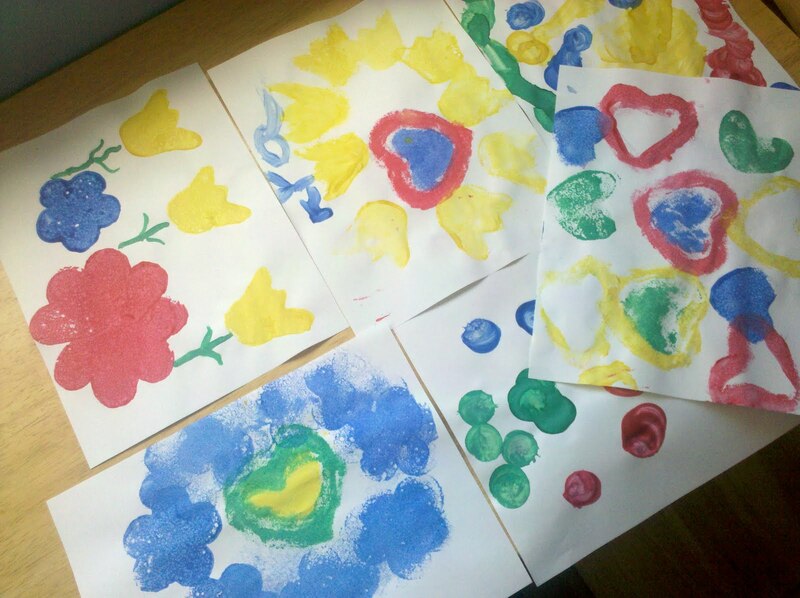 At least I heard a very sweet "no , thank you" and I got one of each of kidlets hand print in one book. After we made the book together, we had fun with all the paint and sponge stamps! 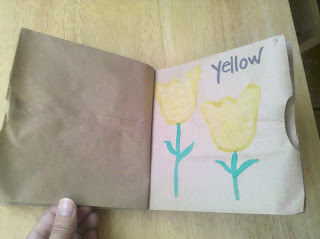 What about you, have you ever made a paper bag album? I have made a few different ones but always stitch up the side for the binding. I have a teeny tiny stapler that wouldn't work! Very cool. I am sure my 8 yr old daughter would love this craft!